What makes this even more incredible is that Andrew just started Olympic Weightlifting after competing in a Powerlifting Competition in November 2013. With a 158 Kg Weightlifting total and a 385kg Powerlifting total, Andrew Ott made a 543Kg supertotal weighing under 73kg's in his first year of lifting weights, only a few months apart. I am excited to see more of what is to come by this young man. avocado, and rice topped with grass fed butter. I am tapering this week for the 2014 A&R Memorial weightlifting competition. I have little tweaks and soreness that will hopefully dissipate in the coming days to ensure optimal performance. I have been eating like a king and maintaining my 94kg bodyweight. This is the last competition I will be doing until Nationals in May. I hope to make a PR total. 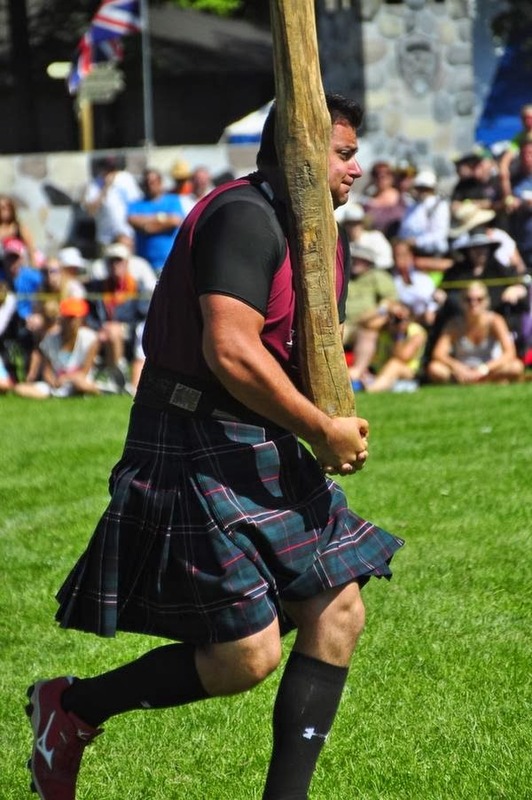 Highland Games(Heavy Events) is an unusual choice of pursuit, What inspired you to do it? My father started competing in it with his family when I was only 9. After watching him for a few years I decided to give it a try. It was a bit awkward at first because I was a tall skinny hockey player. After a while though I found some natural throwing abilities and attended every school/training session that I could to learn the basics. Being the introvert that I am, I naturally drifted towards throwing. It’s a more personal thing and I can fully rely on myself as opposed to a team. Don’t get me wrong I learned a lot from playing on many sports teams but in the end throwing is where I ended up being the most comfortable. What keeps you going during those dark times? The “Dark times” for me are the months immediately following a throwing season. This is a time where I’m in the gym training and I don’t have a specific goal to work for other than personal numbers. It isn’t until I start getting invites for the next season’s highland games that I start getting motivated and really push myself. I need something to shoot for. Longest you went without breaking a personal best? Probably a couple of highland games, so maybe 3 weeks during the summer. I’m always improving and pushing my numbers, whether it’s by an inch or a foot. We have 9 events that we train for so it’s easier for me to break a PR than it is for an Olympic lifter or power lifter who only has 2-3 events. I know you overcame a major heart condition, it is very inspiring, so tell us; What went down and how did you overcome this? This all happened when I was going through college. Long story short my heart basically restarted itself and went into an arrhythmia. So I had to be shocked 3 times with a defibrillator to be brought back from the grave while my parents performed CPR on me. It was really scary for my family as it was my mother who found me like that. I spent 1 week in a chemically induced coma and another 2 weeks in the cardiac ward. In the end they found that my heart has an extra nerve ending and it basically sends off beats. So the hospital set me up with an internal defibrillator to keep an eye on things. Luckily for me it hasn’t gone off in 5 years. It took 2 seasons for me to fully recover and gain confidence back in my own abilities. Proudest accomplishment in your sport (besides proving doctors and science wrong)? One of the greatest rewards I have ever received came from the town of Bracebridge Ontario, where I was living at the time. I received their athlete of the year award for my accomplishments in the amateur circuit of the highland games. This was just after I had my heart episode. Training for me depends on what events I’m working on at the time. This off season I’m really focusing on my weights for distance. So in order to improve these events I not only need to throw, but I have incorporated a lot of explosive movements in my workouts. I’ve lowered the weights on my dead lift and squat and focused on moving 80% of my maximum lift as fast as I can. I’ve also started to do a little Olympic Lifting as well as added another plyometric day to my week. Advice for newcomers to the sport? Never follow one thrower’s advice. I have spent years looking at video of thousands of throwers and I’ve come to realize that not everyone throws the same and not everyone is built the same. Matt Vincent is one of the best throwers we have in the world right now but he’s a shorter, stalkier guy so not all of his throwing techniques and tips are going to necessarily work for someone as tall and long as I am. You need to pull different techniques from many different throwers. Why should strength athletes give the heavy events a try? I would say that everyone gains respect for the sport the moment that they pick up the 56 pound weight for distance and realize how far the professionals are actually throwing it. The pros make it look so easy but it is one of the most technical sports there is. This would be a whole new world for someone who is used to static lifts. I’ve seen guys who can bench press 600lbs raw but can’t throw a hammer 50 feet. I think strength athletes should give it a try just to see the difference between dynamic strength and static strength. Then if they decide they like it they can stick with it and I think it would only compliment their gym lifting. Also the Heavy events are as serious as you make them. Most competitions I go to are very relaxed and all the athletes are there to not only make new Personal Bests but to help everyone else make theirs as well. It’s a great atmosphere. In order to be big you have to eat big. This doesn’t mean eating every cheeseburger you find. 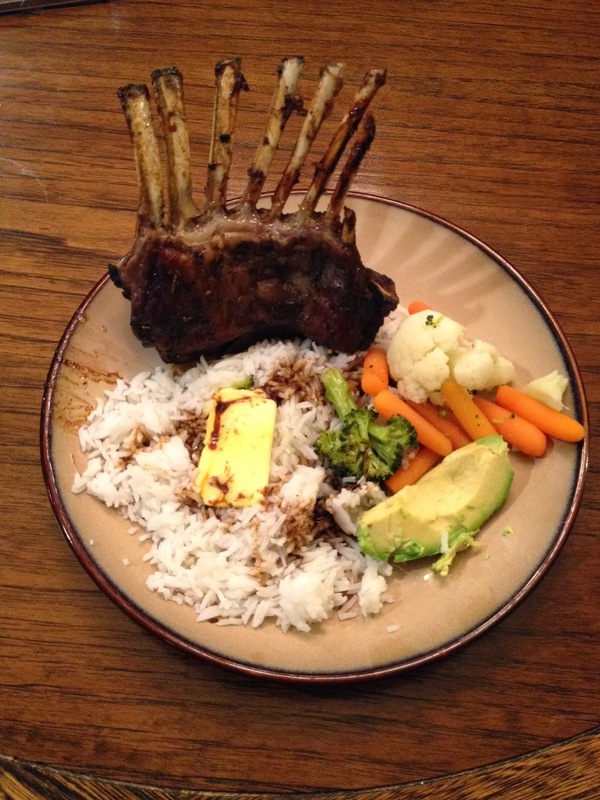 Eating low fat high nutrient foods will greatly benefit anyone who is looking to better themselves in the sport. 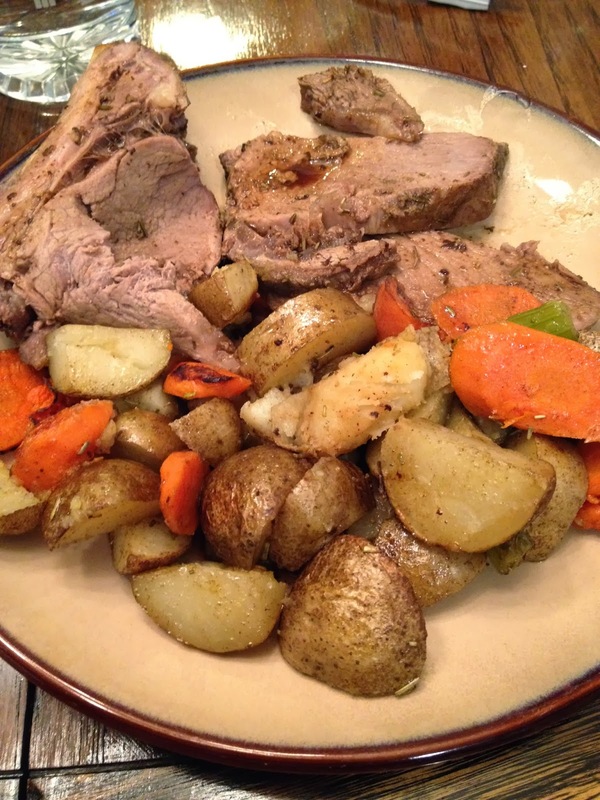 You don’t need to avoid everything but make the majority of your diet lean protein and colorful greens. Prodigy from Athletic Alliance. I use this stuff everyday and it’s a great way to get the protein I need as well as the amino acids I need in order to recover from workouts. I hope that within the next 3 years I will be top 3 in Canada. I would also like to get over to Scotland to compete. I’m just basically going to keep pushing myself and see how far I can get in the sport. I may also start to compete in shot put as well. I picked it up this past year and I’m only 3 meters off competitive numbers. What are your best all time lifts, and event records? Yesterday was a good training session. I worked up to 145kg for triples in hip cleans. Then I drop snatched 140kg before doing my assistance work. 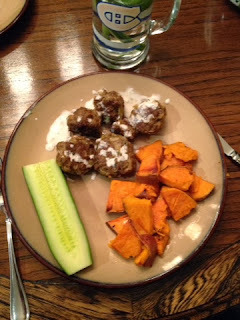 I have also been enjoying some nice meals lately from my wife! 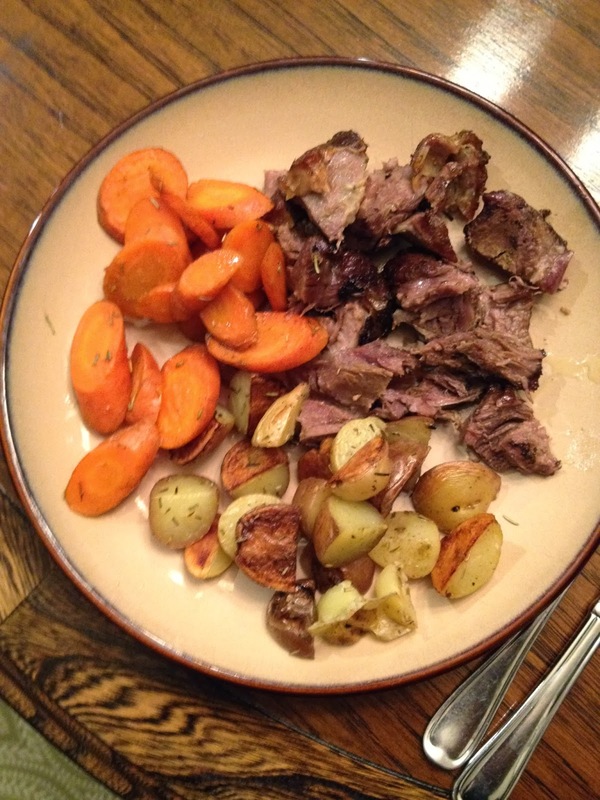 Below is lamb roast, potatoes, and carrots. 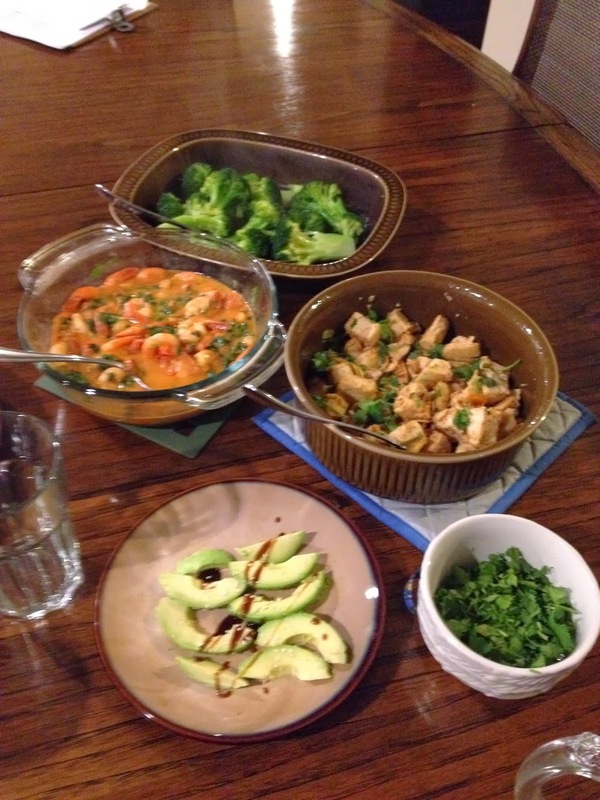 Below is steamed broccoli, chili lime shrimp, chicken, avocado, and cilantro.